Which Parent Is More Likely to Be Granted Sole Custody? The question of whether a mother or father is more likely to get full, sole custody of their child is an interesting one. In the late 1800’s, a legal principle in family common law, known as the Tender Years doctrine, was commonly called upon to argue that the mother should have custody of the child. The idea behind the doctrine is that in the “tender years” of the child, a colloquial term referring to childhood and adolescence, it would be cruel to create any space between a mother and her young child, and that a child in these tender years needs all of the love and affection that only a mother can give. Granted, it was not written into the law, and it served more as an assumed presumption, one that was adopted by some courts in the U.S. from a custody law that was passed by British Parliament in the mid-1800’s. Still, it persisted in child custody battles for over one hundred years. However, as time went on, the courts stopped recognizing the presumption, and actually went back and started reversing decisions that were heavily based on the tender years presumption, and the courts began ruling based on rather gender-neutral respects. That is why in most of the country, the court determine custody with the best interests of the child as the primary factor, where the presumption is that the primary caretaker is going to be the best parent to handle the primary responsibilities and custody of their small child. However, there is a bit of similarity in these two determinants. In many instances, granting the mother sole custody is in the best interests of the child, either because the father is not a fit parent in his own right, or because the father moved significantly far, to the point that it would do more harm than good to relocate the child. But, keep in mind that, if the roles were reversed, these same reasons could be behind the rationale behind why a court would grant the father sole custody. Who Decides Upon The Visitation Schedules? Because you and your spouse will no longer be living together after the divorce, a visitation schedule will be constructed to preemptively map out the dates and times the child will spend with each parent, and to organize the child’s life in an orderly fashion. This schedule is greatly (and obviously) impacted by the child custody order, as depending on whether there is sole or joint custody will subsequently influence how much time the child spends with each parent. But, who creates the visitation schedule? As is the case with all child-related matters in family court, the judges primary concern is “what is in the best interest of the child?” Although a judge is not always needed to decide custody and visitation (for example, both of these can be dealt with outside of court by working with a mediator), if it gets to that point, the judge will be the one to decide on what custody/visitation arrangement is in the best interests of the child. By going to court, and not resolving these issues amongst themselves, parents are no longer in control over a huge part of the child’s life. It would be ideal for the parents to be able to cooperate in the construction of the visitation schedule and create a realistic custody agreement that works for the family, as well as their child. The way that you and your spouse would decide on these issues is most likely not going to be in line with what a judge would rule on, however they will always be focused on ensuring the child’s interests are the top priority. What Happens When You Disagree Which School Your Child Will Go To? The answer to this question depends heavily on the type of child custody each parent has, or doesn’t have for that matter. Broadly speaking, the child will go to school based on where the custodial parent resides as that will usually be in the child’s best interest (remember that this is the most important factor to the court whenever handling anything to do with children). However, when legal custody is shared between the parents, most educational decisions are to be mutually agreed on, as that falls under the scope of legal custody. If an agreement cannot be made either outside of the court or in mediation, the court will be have to make a decision on this topic as well. However, in instances where one parent has full legal custody, they have the right to make final decisions about school-related issues. Because the court has the best interest of the child in mind, they are often compelled to have the child remain in the school/school district they were enrolled in prior to the divorce, as to not disrupt everything in their lives, and keep a sense of normality and familiarity. If the parent that gains legal custody lives in the school district the child was already in, then typically that child will remain at that school. If both parents have moved out of the school district, and have joint custody, they must agree on the new school. If they cannot, the child will either remain in the current school, or whichever school district the residential parent lives in. The answer to the question posed in this blog, as stated earlier, depends largely on what the circumstances are surrounding the custody of the kids. If only one parent has legal custody, then they have the discretion of which school the child goes to. If it is shared, and the parents cannot agree, the court will have to weigh in and make the final decision. Paul E. Rudder, Esq. has a unique advantage in negotiating custody disputes. 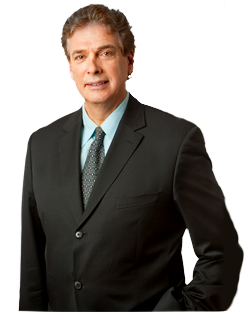 If you need an attorney to represent you, call 212-826-9900 to schedule an appointment. In the state of New York, the courts definition of “legal parent” is not always necessarily based on biology. For instance, if the mother was married at the time the child was either born or conceived, then that husband is considered to be the legal father of the child. Note that he does not have to be the biological father, and likewise, an unwed, biological father is not considered the child’s legal parent unless the father has signed what is known as an Acknowledgement of Paternity. For fathers that didn’t know of the pregnancy or the child, sometimes there can be major hurdles if attempting to adopt the child. The biological father must start to establish a significant parental role in the child’s life, which can include paying for birth expenses or child support expenses. Like most other custody cases, the fitness of the father to parent will be something that the judge will take into consideration when determining the custody dispute. Conversely, fathers who do not provide support during and after pregnancy, who don’t show the ability to even provide the support, or those who have developed drug and/or alcohol problems are more likely to be denied the right to battle for the child in the event that they are placed in the care of either the biological mother or adopting parents. An unmarried father is sometimes limited in how often they have the chance to be a significant parental figure in the child’s life, so it is important to form a parental relationship with the child. Get legal recognition that you are the child’s father, and the right to have a say in parental decisions. Your economic situation after divorce may lead to the decision that relocation is the best option for growth and recovery. If you have recently gone through your divorce, there are laws in place that may prevent you from moving out of New York State. So what are the factors New York Court considers to allow relocation after divorce? One spouse relocating their residence after a divorce is quite common, but because of the fact that it permanently alters a child’s relationship to each parent, not to mention with local friends and the community, the courts will often review and deliberate to see to it that the child’s best interests are considered and are preserved in the relocation. And so, I have compiled a basic rundown of how judges tend to decide whether to allow a custodial parent to move with their child or children. Each case carries with it its own circumstances and facts, but the fact remains the child’s best interests are the courts main concern. The reasons for seeking or trying to oppose the move. The dynamic and individual relationship and connection between the child involved and the parents. If there is a history, ongoing or otherwise, of a negative relationship between the parent and child. How the move will affect the child’s other relationships or if the move would prove to be beneficial for the child in multiple aspects of their life. Does the move have the capability to completely ruin the relationship between child and noncustodial parent? It should be noted however that the custodial parents reasoning for leaving and the potential harm that could happen if the relocation plea is denied.